It’s been a rather odd week in the United Kingdom. 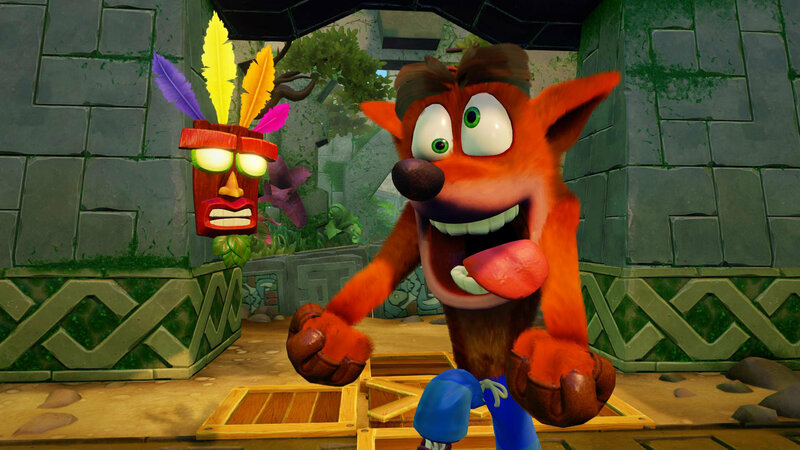 GFK/UKIE revealed that Crash Bandicoot N. Sane Trilogy was the third best-selling game of June thanks to a multi-platform launch. However, it’s on top of GFK Chart Track’s weekly charts for the week ending July 7th. This is title’s second straight week as the number 1 best-selling title, not counting all the other weeks on top when it launched earlier last year exclusively for the PlayStation 4. Another surprising addition in the top ten is Jurassic World: Evolution, making its debut in second place. The Crew 2 follows it in third place while FIFA 18 drops to fourth. Mario Tennis Aces continues to have a strong run in the charts, dropping slightly from fourth to fifth place. God of War similarly holds on at sixth place. Mario Kart 8 Deluxe fell to seventh place while Far Cry 5 saw a moderate rise from tenth to eighth place. Star Wars Battlefront 2 is in ninth place followed by Fallout 4 in tenth. The other big debut was THQ Nordic’s Red Guerrilla: Re-Mars-Tered Edition, which ranked 20th in the charts. Keep in mind that GFK’s charts only include physical retail sales and not digital sales.